There is a distinctive aura to a freshly-mowed lawn that can appeal to both the homeowner and those who visit/pass by the property, especially if that lawn is lush/thick and a healthy green shade. 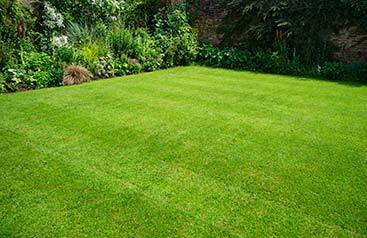 The symmetrical pattern of the cut lines and smooth tops of the grass blades create an impressive aesthetic and also reflect the effort invested in maintaining the lawn. Although this might be the desired look for their property, many homeowners can often find themselves pressed for time when it comes to actually cutting and caring for their lawns. 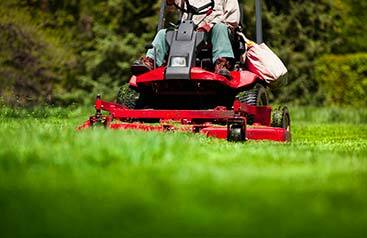 Work and family priorities can dominate daily schedules, to the extent that homeowners end up trying to squeeze a few minutes out of a week (or month) to cut the grass, usually just before it gets dark or starts to rain; and in most cases, it is only a cut and it is done quickly. For North York residents who want their lawn to look well-kept and appealing but might not have the time or the inclination to maintain it on their own, Simple Solutions Landscaping and Snow Removal offers a range of regularly-scheduled lawn care programs to support and satisfy the needs of these discriminating homeowners. Any and all lawn care services provided by Simple Solutions Landscaping and Snow Removal are designed to help produce the look and curb appeal that homeowners want for their lawn and property, and delivered on a reliable and recurring schedule and at an affordable cost. From the first pass of the mower to the finishing touches, Simple Solutions Landscaping and Snow Removal considers each and every lawn as their own; our crews do the job right, and they do the right job, every time, to the complete satisfaction of all customers. 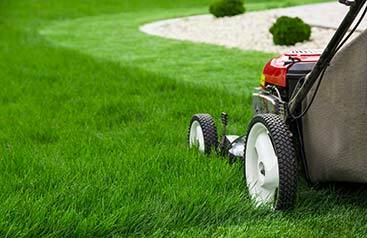 To learn more about the grass cutting and lawn care service packages offered by the team from Simple Solutions Landscaping and Snow Removal, call us today at 416-271-3503 or contact us to request a no-obligation estimate for your property.